Elysian Superfuzz Blood Orange Pale - AoM: Beer et al. This beer smelled nice. 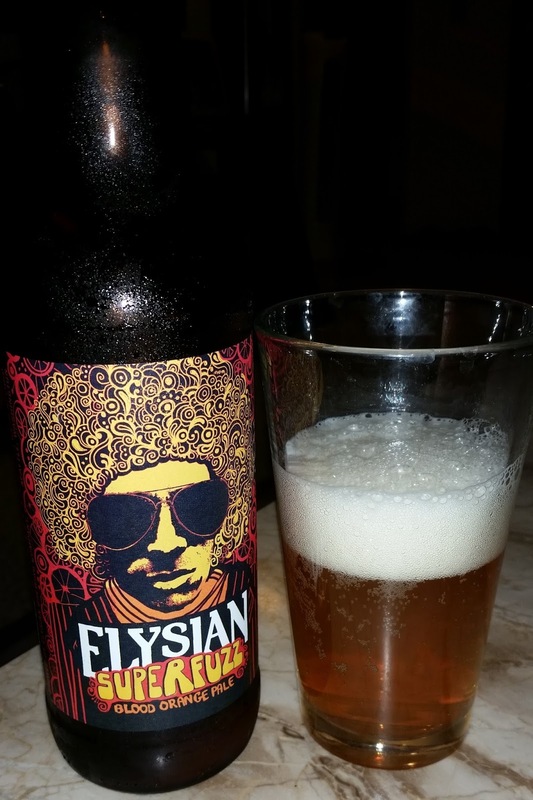 At first it just tasted like an average pale ale, but then it mostly had a tangerine taste. Maybe this is what blood oranges taste like? I couldn't really remember the taste of a blood orange. TASTING NOTES: Is a mind-bending whirl of the aromas and flavors of blood orange and Northwest hops.